This article was originally published on my Marketplace site, Invest With A Stacked Deck. It was published earlier this morning. Yesterday, Alphabet (NASDAQ:GOOG) (GOOGL) introduced a suite of new products including new Pixel phones, the new Google Home Mini and Google Home Max, a high-end Pixelbook laptop, Google Clips, Daydream View (a VR headset), and Google Pixel Buds. However, Alphabet did not introduce a new smartwatch. 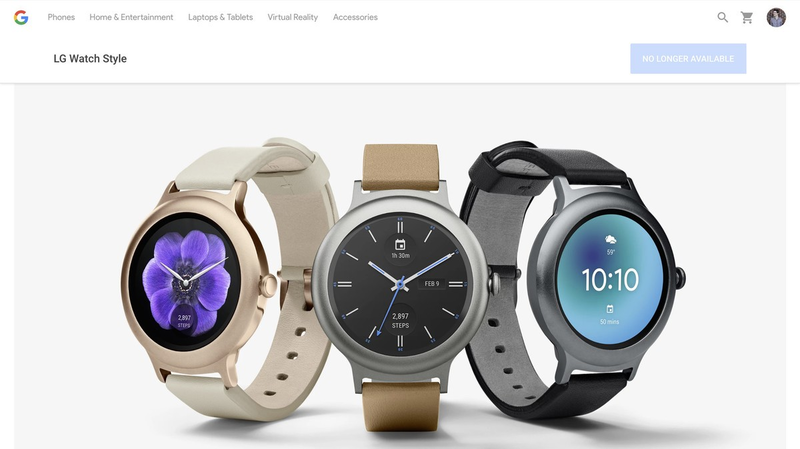 Moreover, the Android Wear section disappeared from the Google Store and its previously released LG Watch Style and LG Watch Sport are now listed as “no longer available.” It is notable that the watches are not listed as “out of stock” which implies that the watches will likely not be available again and Alphabet may be leaving the smartwatch industry. However, it does not appear that Alphabet will totally be leaving the industry, just maybe on the hardware side. Just a few days ago, Alphabet introduced an Android Wear beta based on Android 8.0 Oreo. 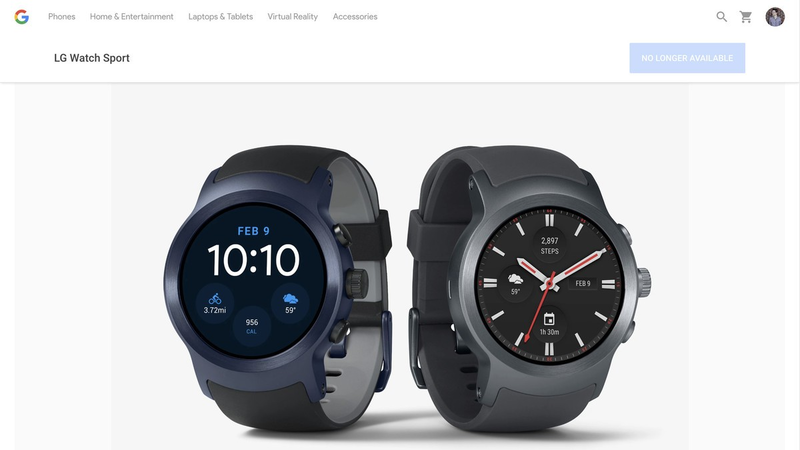 Interestingly, this beta release was limited to the LG Watch Sport. At this point, we are left to speculate on what these developments mean for Alphabet’s future. Nonetheless, with Alphabet being a potential industry disrupter, it is valuable to try to piece the story together to figure out what Alphabet is planning. Yesterday, we saw an example of how Alphabet’s releases can impact companies. For example, GoPro (GPRO) has fallen quite precipitously from the Google Clips release, despite their target markets not fully overlapping. (Here is a link to my article discussing the development with GoPro). As you may recall earlier in the week, I had advocated that subscribers take their profits and sold my shares, and shares for the portfolios that I manage, at $11.60 per share. If this speculation turns out to be correct, and Alphabet is leaving the hardware side of the smartwatch industry, it will certainly be a positive development for Fitbit (FIT). First, with Apple (AAPL) being tethered to the iOS platform and Fitbit’s Ionic being available on both Android and iOS, there is a large segment of Android smartphone users that will not consider purchasing an Apple Watch. iOS only accounts for 42% of the US smartphone market, so the Apple Watch is simply not a realistic option for the majority of the US smartphone market that is considering purchasing a smartwatch. If Alphabet leaves the hardware side of the smartwatch industry, that further reduces the competition for Android smartwatch purchasers. The other big competitor in the Android smartwatch category is Samsung (OTC:SSNLF), with its S3 Gear Sport watch. However, that watch is far behind Fitbit’s Ionic and Apple’s Series 3 in terms of its ability to track health data on a granular level. Moreover, Samsung has not been able to garner a large segment of the smartwatch market in the past, with only a 16% share, and does not appear to have the customer loyalty that FIT and AAPL enjoy. Moreover, this is again just speculation, but maybe Alphabet is considering a buyout of Fitbit to purchase its way into the hardware side of the wearables industry. Alphabet has a history of using an acquisition to enter the hardware side of an industry. Recently, Alphabet agreed to buy part of HTC Corp.’s engineering and design teams for $1.1 billion to bolster its hardware business. Analysts are speculating that this purchase was based on Alphabet’s desire to get greater control of hardware production because HTC assembled the first Pixel device. Although Fitbit’s Ionic is running on its unique operating system, I do envision a possibility of Alphabet buying up FIT to enter this industry. At the current price of $6.53 per share, FIT’s market capitalization is just $1.52 billion and FIT has a very clean balance sheet with lots of cash so its takeover value is much lower than that. Its takeover value (a.k.a. enterprise value) is just $842.9 million so FIT surely is an acquisition target, especially when considering its tremendous brand value and the fact that it is on the verge of profitability. At this point, there is no confirmation that Alphabet is leaving the hardware side of the smartwatch industry, but that appears to be the case. If so, FIT should benefit from less competition for Android smartphone users and the possibility of Alphabet acquiring FIT. Disclosure: I am/we are long FIT.